Yiwei Wang, Ph.D., is the executive director at SFBBO. She grew up in the South Bay and has called the Bay area her home for most of her life. She attended Cornell University and double majored in Biology and Psychology. Returning to the west coast, she worked for a variety of organizations that focused on birds and mammals, including an internship with the Golden Gate Raptor Observatory and a season as a field technician in SFBBO's Snowy Plover Program. ​She then attended UC Santa Cruz and received her PhD in Environmental Studies. Her dissertation focused on learning how human development impacts mountain lions and their relationships with other smaller carnivores. After completing her Ph.D., she worked in northern Kenya to coordinate research efforts among four NGOs to study regional human development and wildlife movement as part of a project supported by the Nature Conservancy. 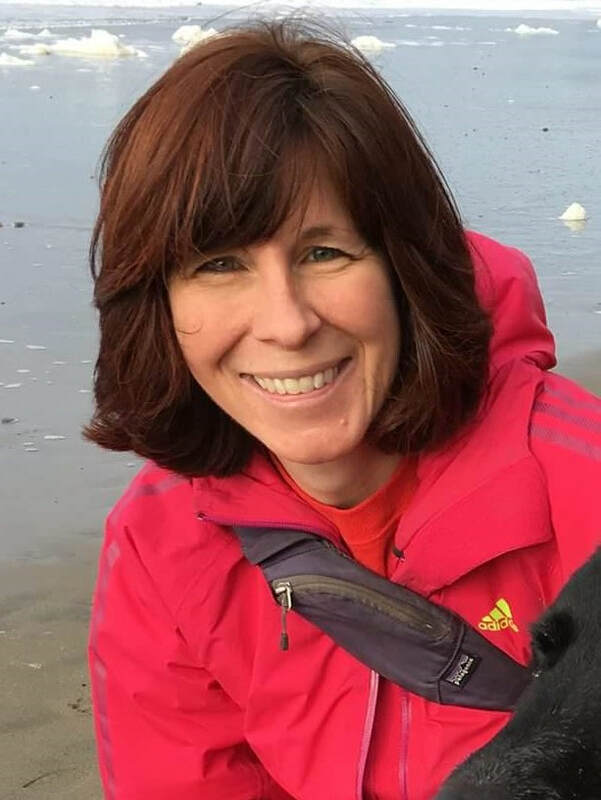 Most recently she was a post-doctoral scholar in Santa Barbara, where she worked to increase and facilitate the management and sharing of ecological data. Alvaro Jaramillo, M.S., is the senior outreach biologist at SFBBO. Alvaro has a B.S. in Zoology and an M.S. in Ecology and Evolution from the University of Toronto, and also conducted research at Simon Fraser University in Vancouver, British Columbia. An expert on the birds of California and North America, he wrote the American Birding Association Field Guide to Birds of California and New World Blackbirds. He is also an authority on the birds of Chile, authoring Birds of Chile (2003), collaborating on Chile’s Important Bird Areas program, and helping to identify a new bird species there, Oceanites pincoyae (Pincoya Storm-Petrel). An author and contributor to numerous field guides and popular publications, Alvaro’s passion is not only to understand the biology and natural history of birds, but to enrich other’s enjoyment of birds and further avian conservation and he leads birding trips throughout the world with his company, Alvaro's Adventures. He is also a recipient of the Eisenmann Medal of the Linnean Society of New York, which honors people who excel in ornithology and encourage the amateur. Marianne Bristol is the accountant at SFBBO. She earned her B.S. in Business Administration with a concentration in Accounting from Notre Dame de Namur University. For many years, Marianne enjoyed working in the high tech sector for start up companies using her general accounting skills and for mid-size corporations where she partnered with Division Directors to improve business planning and efficiencies. After taking time off from the corporate world to spend more time with her children, Marianne became passionate about volunteerism. She has spent the last decade empowering girls through the Girl Scout program teaching leadership through exploring nature. Marianne also volunteered as a school board member, classroom assistant, and event director. She currently serves as Program Director for a local non-profit helping under served teens engage in high school and transition successfully to college. In 2015, Marianne decided to combine her passion for the non profit sector with her accounting skills to work at SFBBO. Josh Scullen is the landbird program director at SFBBO. Josh has a B.S. in Wildlife Management from West Virginia University and is a North American Banding Council Certified Trainer. 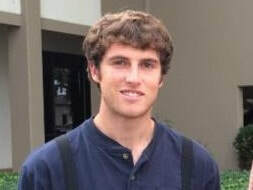 Originally from Maryland, Josh has spent several years conducting field work throughout North and Central America and Hawaii, and has lived on the California coast since 2006. 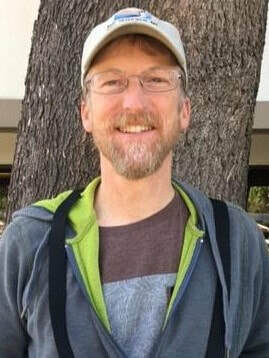 David Thomson, M.S., is the habitats program director for SFBBO. David has a B.S. in Biology from Seattle University in Washington and an M.S. in Wetland Ecology from Southeastern Louisiana University, where he performed research on coastal wetlands. Since moving to California in 2001 he has actively researched the ecology and restoration of wetlands in San Francisco Bay, including an ongoing study to develop methods and materials for restoring tidal marsh-upland transitional habitats. The methods he has developed are being utilized to restore habitats at sites throughout the estuary as a part of the tidal marsh ecosystem's restoration. David also contributes to several regional initiatives, such as the U. S. Fish and Wildlife Service Tidal Marsh Recovery Implementation Team, and co-leads the Upland Transitional Habitat Decision Support System. Ben Pearl, M.S., is the plover program director at SFBBO. Ben grew up in San Luis Obispo, where he attained an early love for nature exploring the nearby tide pools and oak forests. He completed his B.S. in Ecology and Evolutionary Biology at U.C. Santa Cruz, and first came to SFBBO while beginning his Masters at San Jose State University. For his Master’s thesis, he examined how various factors affect plover foraging habitat selection during the winter in the South San Francisco Bay. His favorite part of field work is banding Snowy Plover chicks and watching them grow up, and also enjoys teaching the public about these special birds. Dan Wenny, Ph.D., is the landbird lead biologist at SFBBO. He completed a B.A. in Biology at Earlham College in Richmond, Indiana, where he participated in research in Kenya and Costa Rica. For his M.A. at University of Missouri-Columbia he studied the effects of forest fragmentation on forest interior birds, and for his Ph.D. at the University of Florida he studied seed dispersal by birds and subsequent tree seedling survival in the cloud forests of Monteverde, Costa Rica. Following that, Dan studied grassland birds and prairie restoration in northwestern Illinois and taught various biology courses at Loras College in Dubuque, Iowa. After moving to California in 2014, he started researching bird use of high elevation meadows in the central Sierra Nevada. He is also interested in urban ecology, plant-animal interactions, and ecosystem services and recently co-edited a book including these topics, Why Birds Matter: Avian Ecological Functions and Ecosystem Services. Alex Rinkert is a biologist at SFBBO. He has been studying birds in central coastal California for more than ten years. While studying Ecology and Evolutionary Biology at U.C. Santa Cruz, he developed an interest in natural history, and now pursues dragonflies and small mammals as avidly as he does birds. He regularly leads land and seabirding trips around the region and directs the Santa Cruz County Breeding Bird Atlas II. Anqi Chen is a biologist at SFBBO. She received a B.S. degree in Environmental Science and Terrestrial Resource Management at the University of Washington. During her coursework, she was involved in a project to study the foraging behavior of Great Blue Herons and also completed a senior thesis on window-strike mortality of birds on her campus. Anqi began working at SFBBO as an intern in our Waterbird Program. She is also an artist and has designed several of SFBBO's California Fall Challenge t-shirts. Emily Cech is a habitats seasonal ecologist at SFBBO. In 2017, She earned a B.S. degree in Environmental Studies from San Jose State University. For her senior project, she monitored the effect of salinization on plant species at Inner Bair Island in Redwood City, CA. She has gained experience in the environmental field working as a habitat restoration intern for Grassroots Ecology, a manager for the Center for the Development of Recycling (CDR), and a biological monitor for Olberding Environmental Inc.
Matt Hinshaw is a habitats seasonal ecologist at SFBBO. He grew up in Del Norte County near the Oregon border where his love for the outdoors grew through swimming in the Smith River and hiking through the redwoods. He graduated from San Jose State University in 2016 with a B.A. in Environmental Studies and a concentration in Restoration and Resource Management. Throughout his college career he strove to become closer to nature by offering environmental education experiences to kids at outdoor summer camps, as well as volunteering at community gardens and managing the SJSU Campus Community Garden. Anjou Kato is a biologist at SFBBO. She completed her B.A. in Integrative Biology at U.C. Berkeley and conducted point count research on American Coots with Berkeley Aquatic Park. She's also worked for the nonprofit Girls on the Run as a coach for 4th and 5th grade girls at San Pedro Elementary School. Gabbie Burns is a science outreach and colonial waterbird intern at SFBBO. Gabbie earned a B.S. in Computer Science at the Rochester Institute of Technology, but along the way discovered that her true interest was wildlife conservation. She is currently working toward an M.A. degree in Biology through the Advanced Inquiry Program offered jointly by Miami University and the San Diego Zoo Global. Her focus there is on direct human threats to urban wildlife. Lindsay McGeorge is an outreach intern at SFBBO. She received a B.S. in Conservation Biology and Ecology Sustainability through Arizona State University. When she was in high school she had her first encounter rescuing wildlife by fishing a Harris's Hawk out of her family pool. This led to her volunteering at Liberty Wildlife, a wildlife rehabilitation facility. She later was an Aviculture Intern through Tracy Aviary, where she gained knowledge in the care of 135 unique species of birds. During this time, she was able to translate data obtained from the migratory movements of American Avocets as a Satellite Data Volunteer through Weber State University. She has also worked as zookeeper through accredited facilities where she cared for animals and engaged the public through educational programs. Alicia Manfroy is a waterbird intern at SFBBO. She graduated from Santa Clara University with a degree in Environmental Science. A South San Jose native, Alicia grew up birding at nearby wetlands, percolation ponds, and reservoirs. She is excited to pursue her passion for waterbirds with SFBBO in the upcoming months. Illianna Termuehlen is a waterbird intern at SFBBO. She grew up in Wisconsin and graduated from Mount Holyoke College with a BA in Environmental Studies in 2018. She previously worked with UCCE and the U.S Forest Service monitoring wild horse populations in Northern California. She also spent a summer monitoring terns with Project Puffin on an island off the coast of Southern Maine. She is excited to be joining SFBBO and combine her interests in avian monitoring and ecological restoration. Jaime Wiltz is a habitats intern at SFBBO. She grew up in the Bay Area, developing a love for the unique habitats of California. She is graduating from San Jose State University in Spring 2019 with a Bachelors in Environmental Studies and a minor in Restoration. Jaime has previously worked at the City of Santa Clara’s environmental programs division. She is particularly interested in native plants and habitat restoration and is excited to join SFBBO. Kaili Hovind is a habitats intern at SFBBO. ​She is currently pursuing a B.A. in Environmental Studies with a minor in Environmental Restoration at San Jose State University. While working on her degree she has volunteered for organizations such as SFBBO and Grassroots Ecology to aid in restoration projects. As an avid plant collector and novice gardener she is hoping to apply her experience in horticulture to her work and looks forward to learning more about habitat restoration.